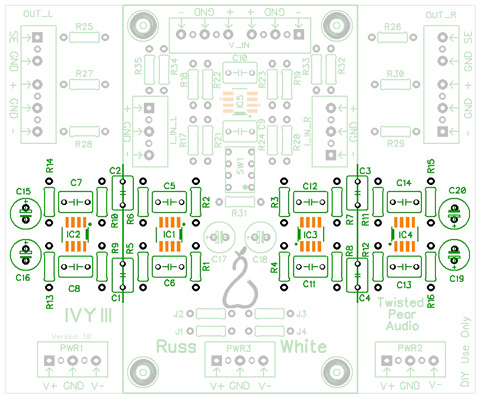 Two discrete I/V stages, one balanced to single-ended converter, stacks under DAC. 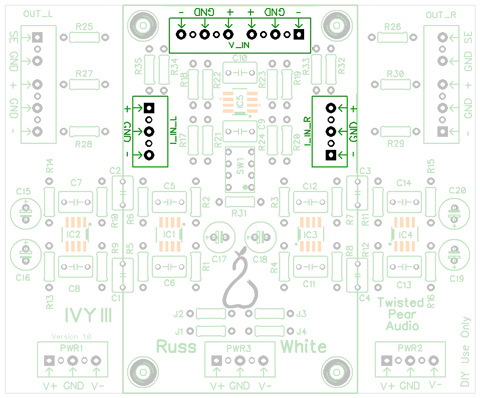 IVY-III is a balanced active I/V line stage with optional filtering and both balanced and single-ended outputs. 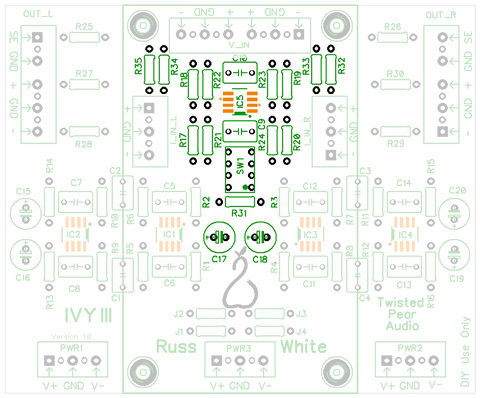 I/V conversion is performed by a pair of Burr-Brown fully-differantial OPA1632 op-amps, and balanced to single-ended conversion by a National Semiconductor LM4562/LME49720. 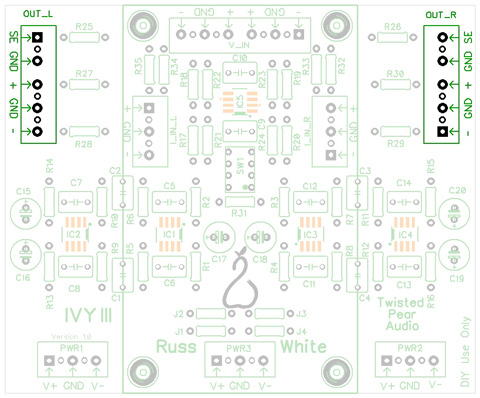 All op-amps are surface mount (SOIC) and come pre-installed (unless you note otherwise). Wima FKP2 polypropylene (MKP) filter capacitors provide low pass filtering in the I/V stage. 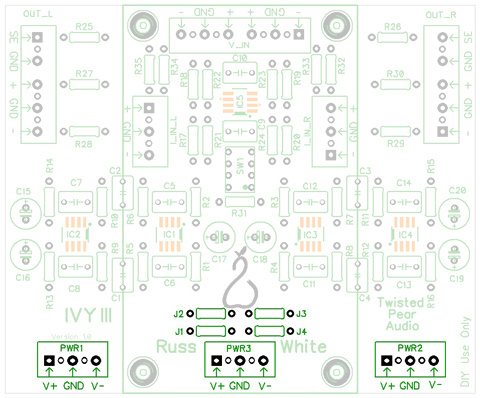 Each stage has local Nichicon 100uF KW and Wima 0.1uF MKP2 polypropylene decoupling and bypass capacitors. 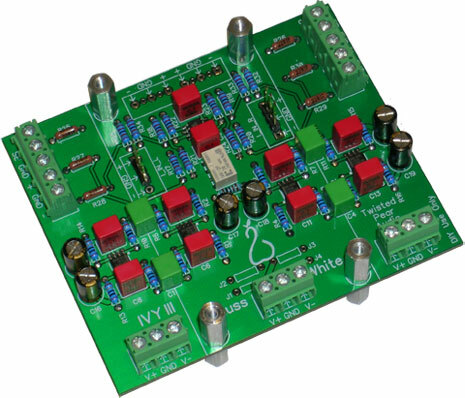 IVY-III requires between one (and up to three) ±12-15VDC (bipolar) power supplies. Both our linear LCBPS and shunt-regulated Placid HD BP will work very well. We recommend the Placid HD BP set for ±15VDC for best performance, powered by a 15V+15V transformer (available here).